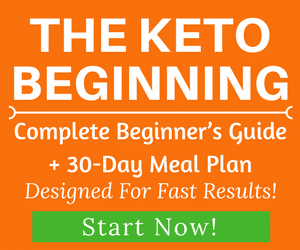 Eating fast food on the ketogenic diet is not a recommended thing to do. It’s even more challenging if your restaurant of choice is a taco joint. For this reason, we recommend eating at home whenever possible or at least avoid eating fast food as much as you can. 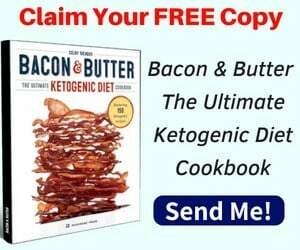 If you want to achieve better results with keto, following a meal plan and eating at home are desired, because you’ll have total control over the ingredients you use. However, we understand that there will be situations where you’ll need food and Del Taco might be your only way of getting it. In those instances, it’s best to have a plan before you go into Del Taco to keep your meal low-carb. 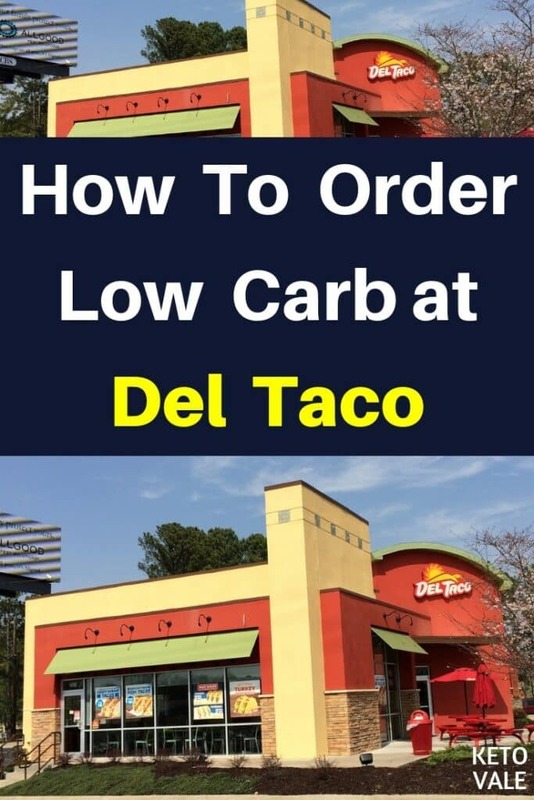 We scoured the menu at Del Taco to bring you the best tips and advice for ordering a low-carb meal there that won’t ruin your ketogenic diet. Here’s how to order low-carb at Del Taco. Del Taco is similar to Taco Bell. It’s a fast food restaurant that allows you to hit the drive-through or come in and sit down to eat. The menu at Del Taco appears to be slightly healthier than Taco Bell because they use homemade pico de gallo, fresh avocado, and freshly grilled meats. They also slow cook their beans from scratch. 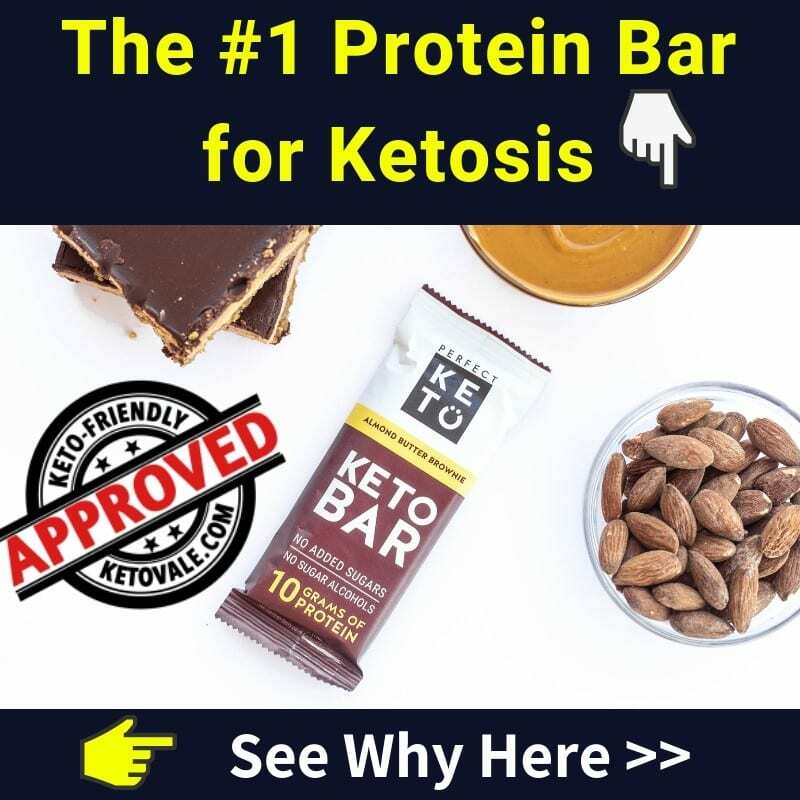 This isn’t helpful if you’re on the ketogenic diet, but it’s a good indication that they take more pride in their ingredients than most fast food taco places. As the name implies, you’ll find lots of taco options on the menu. This isn’t ideal if you’re trying to eat low-carb, but there are ways to work around this. Eating the insides only out of a taco shell is a good place to start. Keep in mind that the meat used in many restaurants isn’t organic and might be seasoned with cheap ingredients and spice blends that include MSG and other harmful additives. This is why we recommend eating at home whenever you can. You’ll also need to stay clear of the traditional taco additions and sides, such as beans, rice, sauces, and tortilla or burrito shells. The good news is that Del Taco offers some good ketogenic-friendly add-ons, such as avocado, bacon, sour cream, and lots of cheese. You can use these in place of sauce to add flavor to your meal. Here are some tips for ordering low-carb at Del Taco. Unlike Taco Bell and some other taco places, Del Taco offers burgers. 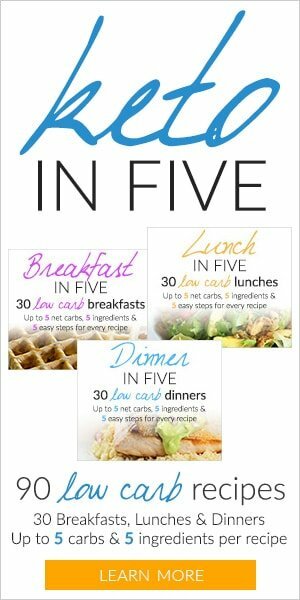 This is great if you’re in need of a quick low-carb meal and don’t want to deal with eating the insides only out of a taco. We recommend going with a bacon double Del Cheeseburger, which features two 100 percent USDA beef patties, two bacon strips, American cheese, lettuce, tomatoes, and onions. You’ll want to hold the bun and burger sauce or ask for a lettuce wrap. We checked out the nutritional information of the burgers at Del Taco and noticed that the seasoning they use contains partially hydrogenated vegetable oil, which is highly inflammatory and is not considered a ketogenic food. Their bacon also has sugar, nitrates, and preservatives in it. Not to mention the meat and cheese are not organic or grass-fed, which means that you’re ingesting a lot of chemicals when you eat here. Make sure you limit your Del Taco experience as much as possible or only eat here when it’s an absolute emergency. You can get much cleaner meat and cheese at the grocery store. Del Tacos has a platos section on their menu that we recommend avoiding. Most of the plates come with two tacos or burritos and unhealthy side dishes, such as rice, beans, and chips and salsa. 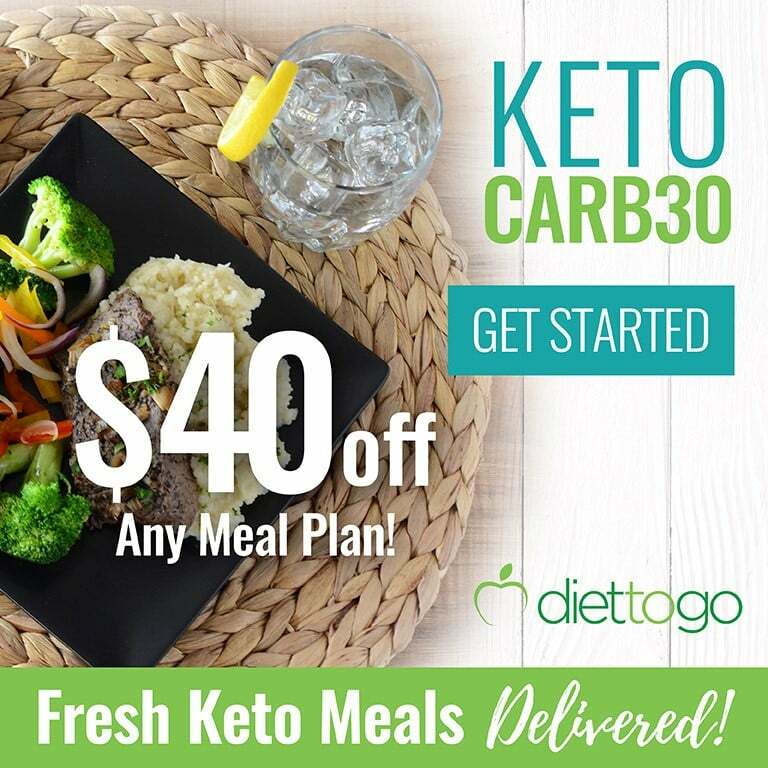 This might be a good deal if you’re not trying to eat low-carb, but ordering one of these on the ketogenic diet just means that you’ll have to throw half of it away. The same goes for the combo dishes. If you go with a combo, you’ll want to stick with an unsweetened iced tea and throw away the side. Stick with ordering individual tacos instead and hold the starchy sides. If you’re looking for a good deal, try one of the Del Taco specials. Currently, you can get two free Del tacos or grilled chicken tacos when you join their e-club. All you have to do is enter your email and they’ll send you a coupon. You can also download a coupon on their website and get a free shredded beef soft taco when you purchase one at full price. 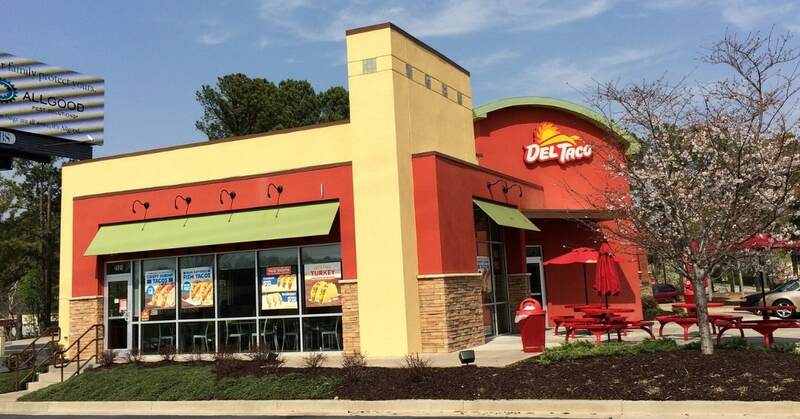 Finally, you can get two free Del tacos when you download their app. These deals might be subject to change so be sure to visit the website for details. Just remember that you’ll have to eat the insides only of these tacos and throw away the shell. We noticed that almost every dish at Del Taco has some type of sauce on it. Most of these sauces are hidden sources of sugar, which is always a good thing to stay away from even if you’re not following a low-carb diet. Always be sure to ask for no sauce even if the food you’re ordering doesn’t come with it anyway. It’s a good habit to get into! To make up for the lack of flavor, try adding some low-carb friendly toppings to your food, such as freshly sliced avocado, bacon, cheese, or sour cream. These would go great on a taco without the shell. You might need to grab a fork to eat it, but at least you’ll be able to enjoy a meal without as many carbs! A good way to determine whether your meal is truly low-carb or not is to look it up on the Del Taco website. It’s also a good way to determine if sauce comes on your food. We recommend paying attention to the ingredients over the nutritional breakdown because you’ll be custom ordering your meal anyway, so this information will change. For example, a crunchy Del Taco contains a taco shell, turkey taco meat, lettuce, cheddar cheese, and tomatoes. If you look further down the menu, you’ll see that the turkey taco seasoning contains a whole bunch of junk that you’re better off not eating, such as hydrolyzed corn gluten, wheat and soy protein, sugar, caramel color, and lots of preservatives. This is a good reminder to only order at Del Taco every once and awhile. 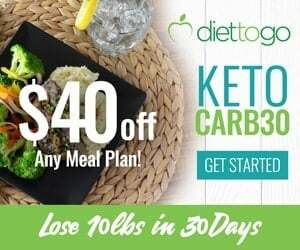 If you’re not sure about how many carbs you need to stick with on the ketogenic diet, then try using our free keto calculator here. All you need to do is enter your personal information, such as your BMI, weight, height, etc., and answer a few questions about your goals. The calculator will break down your macronutrient needs and display them in a graph form. Compare these results with anything you order on the Del Taco menu to make sure you’re on the right track. If you order a taco at Del Taco, they’ll probably ask if you want a crunchy or soft taco. Always go with crunchy taco shells as these are easier to dispose of if you need to eat the insides only out of the taco. Soft tacos tend to be heated, which causes the flour shell to mix in with the ingredients of the taco. They are harder to separate from the meat and cheese and you’ll be more likely to ingest some of the shell. For this reason, you’ll also want to stay away from burritos and quesadillas. Most Del Taco locations are open 24 hours a day, which is great because this means you can always get something to eat whenever you need it. They even offer a breakfast menu if you need an early morning snack. We noticed that the eggs used in the breakfast tacos only contain whole eggs and citric acid. This is a good option because many restaurants add milk to their scrambled eggs or omelets to make them fully. You’ll want to adhere to the same tips that we listed above when ordering breakfast. Remember to hold the red sauce that comes on any taco and eat the insides only. We noticed that all of the breakfast tacos come in soft shells, which means that the shell might stick to the rest of the ingredients in the taco. This makes it harder to eat the insides only, so you might want to ask for your taco contents to come in a bowl without the shell instead. You might get some funny looks with this request, but at least you’ll be sticking to your low-carb diet! If you hit the drive-through, make sure you don’t try to eat and drive. Tacos are messy, especially when you’re eating the insides only. Pull over if you must, but never try to eat and drive. Here’s what to order at Del Taco to keep it low-carb. Keep in mind that some options might not be strictly-keto. Although there are some decent options for low-carb eating at Del Taco, you should avoid the majority of the foods on the menu. The following foods are either too hard to try to customize or we think you can do better by ordering individual tacos or a burger instead. Any time you eat out on the ketogenic diet, you’ll be compromising your diet. That’s because you can get better ingredients at your local grocery store than you can at most restaurants. The meat at Del Taco contains seasoning that has sugar and lots of preservatives in it. Foods at many restaurants are usually not organic or antibiotic-free, which means you’re eating more chemicals than you should when you enjoy a meal here. It’s always best to eat at home when trying to stick to a low-carb diet. If you happen to find yourself in need of food and Del Taco is the only place within miles, then we recommend going with a cheeseburger. You can get it with bacon, cheese, avocado, and lettuce. Be sure to hold the bun and burger sauce. If you go with a taco, order a crunchy taco and discard it immediately or ask for no taco shell. You’ll also want to hold the sauce on your tacos as well and stay away from combos or special deals that come with fries or a sweetened drink that you don’t need.